"4 Berth Automatic Alpha Campervan"
What type of license do I need to rent a campervan? You can use your own driver's license from your country of origin, as long as it is full (not probationary) and current. An international driver's permit is recommended, although it is not a requirement. If your license is not in English format, you will need to bring an official translation. Find an authorized translator for your driver's license. Drivers must be at least 21 years of age, although there are some vehicles that can be hired by 18 to 20 year old drivers. The maximum age is 75 years, and drivers who are 75 years must also provide a medical certificate. Can I pick up from the airport? All vehicles need to be collected and returned at the designated depots. However, most operators do offer free transfers from the airport to their office (and vice versa). What time can I collect and return the campervan? Most depots are generally open between 9AM to 4PM, so pick up and drop off can be done anytime during these hours. Vehicle consultation (at pick up) usually takes between 30 minutes to 1 hour, and remember that all vehicles need to be returned at least 1 hour before the depot's closing hour. Can I drop off in a different depot? One way rentals are possible, but please check if the supplier has a depot in the chosen return location. One way fees may also apply. Due to limited storage room (which is generally under the seats of the vehicle), soft or collapsible luggage is recommended. What is the largest vehicle available? The largest vehicles are the 6 Berths, which can seat and accommodate up to 6 passengers. There is a 7 Berth motorhome as well, but it is available in limited locations only. If there are more than 6 people in your party, you can hire two smaller vehicles. Can I bring my own child seat? You are welcome to bring your own seats. Also, if you wish to rent child seats, please advise on the age and weight of the child so the correct seat can be prepared. What if the vehicle I want is not available? In case that the chosen vehicle is not available due to limited availability, we will find an alternative vehicle that is similar in size as well as price. For most campervans, the minimum rental period is 5 days for a round trip hire and 7 days for a one way hire. However, the minimum period for one way rentals is extended during holidays, ranging from 10 to 21 days. Are picnic table and chairs included? Although these items are usually additional extras, some operators do include a picnic table as well as a chair for each passenger in their packages. What is the difference between the Standard and All Inclusive packages? The Standard Package only includes a standard excess, which can be between $1500 to $7500. This excess is reduced to a smaller amount (or sometimes to $0) in the All Inclusive Package, which may also include extras like tyre/windscreen coverage, tables and chairs and child seats. You can pay for the included deposit or full amount using a debit card or through bank transfers. Just be advised that the operators do require a credit card for the security deposit or bond which is charged at pick up. All travelers are recommended to take out their own personal Travel Insurance. Although the vehicles are already insured, it is best to purchase the Full Insurance Cover to reduce the excess. You can read more about insurance coverage here. Is roadside assistance included in the rental? Can I extend my rental after we have picked up the vehicle? If you wish to extend your rental, you will need to contact the depot where the vehicle is to be returned to check if this is possible. An extension would be subject to availability and might incur a one way fee (if the vehicle is to be returned in a different depot) on top of the daily rental rate. What is Road User Charge Recovery Fee? In New Zealand, motorists must pay tax to use the road. Tax is charged depending on the fuel the vehicle uses. Whereas tax on petrol is charged at the pump, tax on diesel is charged on the kilometres the vehicle travels. Most campervan operators only charge the Road User Charge Recovery Fee on diesel vehicles. Learn more about Road User Charges. Is Road User Charge Recovery Fee included in the price? It is included in the All Inclusive Package, but would need to be paid at drop off if you choose the Standard Package. We accept Visa, Mastercard and American Express. There is no credit card surcharge applied to the BOOKING/INITIAL deposit, except on American Express which incurs a 4.5% surcharge. Also, the operators may apply a surcharge to any credit card transactions. When the rental balance needs to be charged before pick up, a 2.5% surcharge applies to MasterCard and Visa Credit/Debit card for the remaining balance, amendments and all Pre-booked additional items. The 4.5% surcharge applies to all AMEX transactions, including the rental balance. Is your question not included here? Send us an email to info@mydriveholiday.com and we will answer you directly. Your question will also be included in our list soon. Ready to start your adventure? 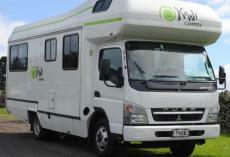 MyDriveHoliday has great vehicles in Campervan Hire New Zealand.